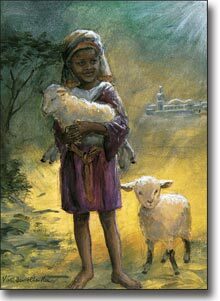 I greet you in the Matchless Name of our Lord and Savior Jesus Christ. 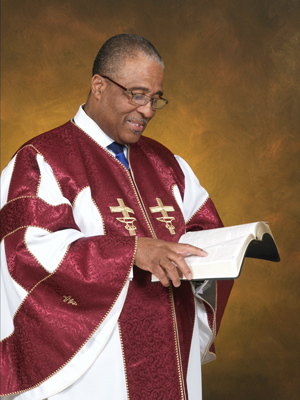 Welcome to Union Bethel African Methodist Episcopal Church, where "We Are Family" is more than a motto -- it is the living heart of this His church, where we extend to you, not only the door of our sanctuary, but also the door of our heart. Union Bethel has stood through the ravages of slavery, the discriminatory policies of Jim Crow, the Depression, the Civil Rights era, and is still serving as a beacon of light today. We are so grateful to God for those on whose shoulders we stand. Truly upon this Rock, God built His church and the gates of hell have not prevailed. 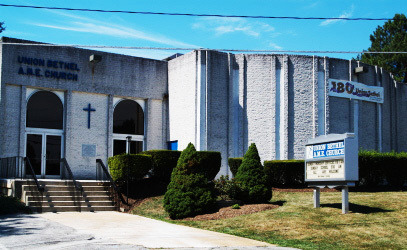 Since 1826 Union Bethel A.M.E. has served God faithfully by providing the spiritual, physical, emotional, economic, political, social, and personal needs of congregants and our community. Through worship, service, fellowship, study, and outreach God's love is celebrated at Union Bethel, and lives are transformed. The genuine concern for the welfare of God's people is reflective in everything we do. We invite you to join with us on a great spiritual journey, as we grow closer to God and to one another in a very special and meaningful way, and as we reach out, sharing the love of Christ with our community and the world. "God Our Father, Christ Our Redeemer, Holy Spirit Our Comforter, Humankind Our Family"